The V.S.F.A aligns efforts with industry advocacy and harm reduction organizations to bridge gaps between the state and federal level. Our media outlets were created for the purpose of providing easy access for members to news articles, alerts, scientific research studies, pending legislation and educational materials associated with the vaping industry. We raise funds to promote advocacy, a proactive approach that is imperative for consumers and industry alike. We actively participate in dialogue with the public, vendors, media and industry advocacy groups to ensure our interests are heard and addressed at the state and federal level. We are dedicated to fostering communication, sharing reliable information and providing an outlet where V.S.F.A members and state agencies can engage in meaningful, truthful dialogue regarding public health and industry matters. We advocate on state issues that threaten the survival of the industry, provide informative resources, updates on state programs that educate and prepare industry participants to meet compliance requirements. 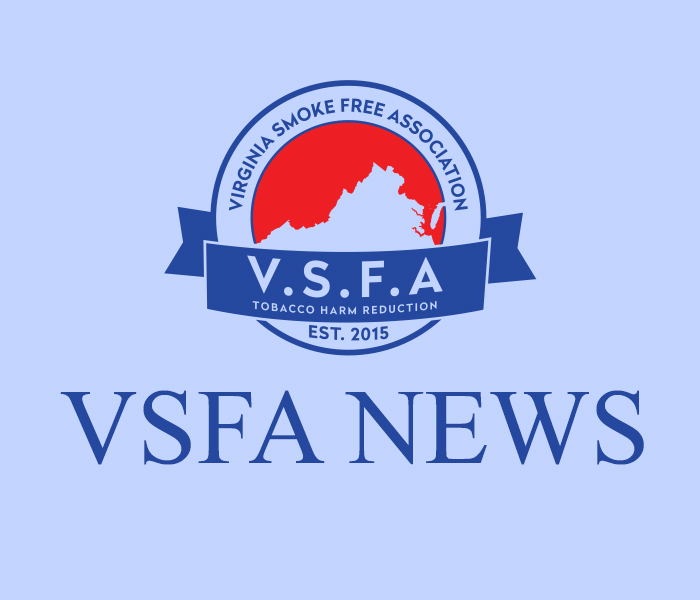 The Virginia Smoke Free Association is a non-profit advocacy group and trade organization comprised of consumers, retail vendors, manufacturers and supporters alike. 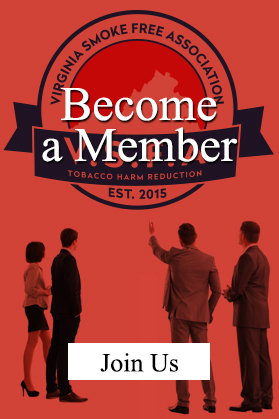 To make a donation to the Virginia Smoke Free Association, Please click the Donate button below and enter your donation amount and billing information. 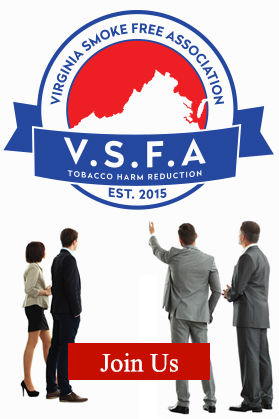 Thank you for your support of VSFA!